Winter is coming… no, its here. Home > Wool > Winter is coming… no, its here. 31 Jul Winter is coming… no, its here. The 2016-17 season saw a change in the air drive a change in the paddock for wool production, but how did this impact the market? While winter is here and the recess lingers for the wool market, our season recap continues – this time hitting rewind to look at the prices. Considering the finale is always the main event, we’ve focused this market review on the last week of the season (July 10th 2017). Table 1 compares the average market price for the last week of the 2016-17 year for Northern, Southern and Western market regions to that of the previous year. 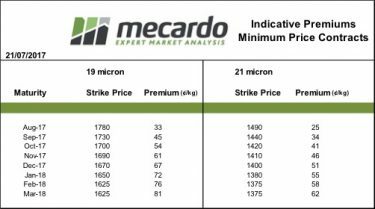 The closing market clearly favoured the fine microns this year with a price jump at an average of 34% across the 16.5 to 19 micron range for the Eastern markets and 24% for the West. 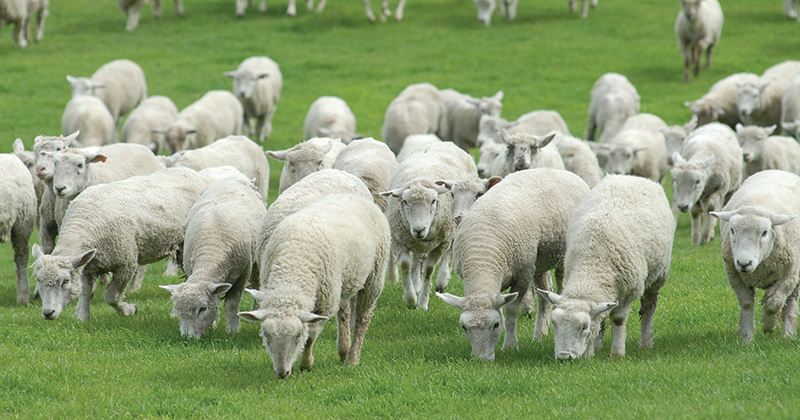 As outlined in our earlier analysis review, when the season in 2016/17 transitioned from the considerably dry conditions maintained over previous years towards wet, we saw the average micron broaden across the Australian flock. This shift in the clip lent to a return to premiums for fine fibres as supply thinned across the year (Figure 1). Improved seasonal conditions also returned a good market price across the country for the mid fibres of 19.5 to 24 MPG. Looking at Table 1, we can see that the market prices were much more favourable for all three regions this year round, boasting an average increase of 8% from 2015/16 to 2016/17. 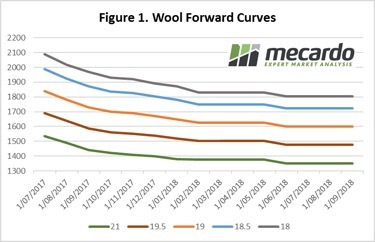 As expected, the overall production lift in 2017 coupled with recorded increase in fibre diameter across all states but NSW, meant that supply of coarse wools was a plenty and hence didn’t quite see the gains received by the rest of the market. Southern region prices for coarse fibres finished 12% lower than the same time last year, while the North saw a slight rise of 2%. By comparison, the mid and coarse fibre market on the West Coast remained fairly stagnant, landing nearly right back where it ended 12 months ago. The market price was on average just 10c higher than last year for fibres above 19.5 micron.